Daniel Polk — Matthews, N.C.: My mother-in-law started taking survivor’s Social Security benefits at age 60 and is now 77. She receives what seems like a low amount compared to what her husband’s full benefit would have been. Larry Kotlikoff: Yes, she probably was given bad advice by someone, perhaps even someone at the Social Security office. Back when she was 60, someone might have told her that if you don’t take your benefits as early as possible and then die, you’ll lose them. This is an implied view of the afterlife that is, shall we say, a-biblical. We don’t generally think of heaven as a place where everyone is kicking themselves for not taking Social Security benefits early. By taking her survivor benefits early, your mother-in-law had them permanently reduced by roughly 30 percent. Plus her husband may have taken his own benefit early as well. In this case, that may have reduced her benefit even more. The calculation of survivor benefits is especially complicated when widow(er)s take their survivor benefits before their normal retirement age. First, the benefit is based, in part, on the full retirement benefit of the decedent worker. For decedents who pass away prior to age 62, their full retirement benefit is calculated two different ways and the higher of the two is used. Second, the decedent’s full retirement benefit is multiplied by the survivor benefit reduction factor to form what’s called the Widow(er) Insurance Benefit. This, however, may not be what the widow(er) receives. S/he may get an even smaller amount equal to either what the decedent was receiving when s/he passed away or 82.5 percent of the decedent’s full retirement benefit. I keep telling readers that Social Security is too complicated for those who haven’t spent years studying it. Now do you believe me? 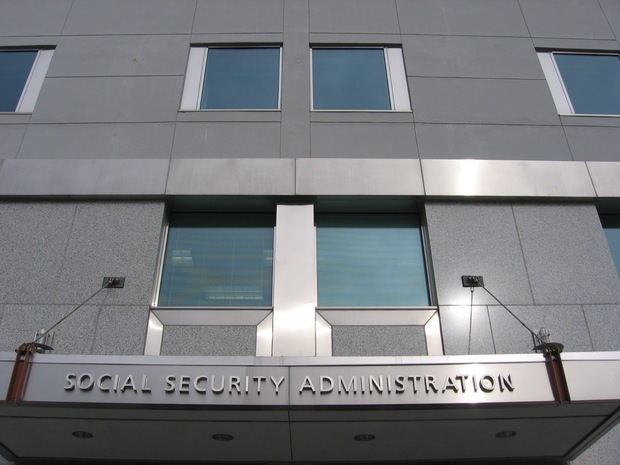 Margaret — Audubon, N.J.: I am 62 and I am collecting my Social Security. If my husband were to die, can I wait until I am 66 and then apply for full survivor benefits, or must they be taken immediately? Larry Kotlikoff: Yes, you can wait until your full retirement age — 66 in your case — and collect your full (i.e., unreduced) survivor benefit. However, because you took your own retirement benefit early, you will get the larger of your survivor benefit and your retirement benefit. So, ugh, you will get hit by one of Social Security’s nasty gotchas. You have one year to repay all your retirement benefits after you start collecting them and wipe your slate clean. So if you can swing it financially, you might consider doing this. By taking your own retirement benefit early you have eliminated the chance of collecting a full spousal benefit starting at 66 and also the ability to take just your survivor benefit up through age 70 (while having your own retirement benefit grow due to the absence of any reduction factor and the application of the Delayed Retirement Credit) were your husband to die before you reach age 70. What About Social Security Benefits for Singles and the Divorced? Joan — Carefree, Ariz.: Can I take my deceased ex-spouse benefits at 62 and mine at 66? Neither of us remarried. Larry Kotlikoff: Yes, readers, there really is a “Carefree, Arizona,” north of Scottsdale. Its southern border runs along E. Carefree Highway. And yes, Joan, you can take just your survivor benefit at 62 (indeed, you can start taking them as early as age 60), but the problem is, in so doing, the benefit will be permanently reduced. And another yes: you can wait until 66 to take your unreduced full retirement benefit. But for all my ‘yesses,’ this may not be the best strategy. It may be better, depending on which is larger, to take your reduced retirement benefit at 62 and take your unreduced survivor benefit at 66. Which one is best to take first depends on your earnings history and that of your former spouse. Karen Berthine, San Francisco, Calif.: It seems only logical, given the scholarly research and open admissions of recruiters and HR managers, that anyone 55-plus who is laid off should be allowed to enroll in Medicare and collect Social Security. Larry Kotlikoff: I feel for those 55 and older who lose their jobs since they have a harder time finding work than any other age group. Paul Solman has covered the challenges they face on the NewsHour broadcast and on this page. However, I’m not sure ‘logical’ is the right word here. I maintain that our country is entirely broke. We have a fiscal gap of $222 trillion separating the present value of all projected future federal expenditures and all projected future taxes. As it is, our children face massively higher taxes to pay for our benefits and everything else the government projects spending, including on defense. So your logic says you deserve more. But who do you want to pay for your extra benefits? Your kids? Your grandkids? What we have in place is one of the most generationally immoral policies imaginable. Your “logic” would make the situation worse. These tough love words, by the way, are coming not from a Republican or a Democrat (I think politicians are a lower life form and adherents of politicians are wasting their free wills), but from an adult. My definition of an adult is someone who looks out for his and other people’s children. Jacki — Boston: I turn 66 in August, reaching full retirement age. I want to take the spouse’s benefits for which I qualify. One problem: my divorce becomes final next week (34-year marriage) and I noted on SSA’s spousal benefits requirements that I don’t qualify until 2 years after the divorce. Is this the case or do I qualify under other circumstances? I feel I am in limbo and will lose this important income. Thank you. Larry Kotlikoff: Divorcees who were married for 10 years or more can collect a spousal benefit based on the ex’s earnings record, provided they are 62 or older and their ex is 62 or older and either: a) their ex has filed for his/her retirement benefit or b) they have been divorced for at least two years. So if your soon-to-be ex is over 62 and has already filed for his own retirement benefit, you don’t need to wait two years. If he hasn’t, you do. Bob Stoker — Soda Springs, Idaho: I will be 62 in June. My wife is 10 years younger and has never worked. Is she entitled to any SS benefits as a spouse or, heaven forbid, any widow benefits, and when could she file for them if any are due? Larry Kotlikoff: Your wife can collect spousal benefits starting as early as age 62 and survivor benefits starting as early as 60 on your earnings record, 50 if she is disabled. But beneficiary beware! Collecting either type of benefit before her full retirement age means the benefit will be permanently reduced. I take it she’s now 52, meaning she was born later than 1960. As you can see from the numbers below, copied from the “Full Retirement Age” page on the Social Security website, her full retirement age is 67. 67 is 50 percent (the maximum benefit amount). Laurence Kotlikoff is a William Fairfield Warren Professor at Boston University, a Professor of Economics at Boston University, a Fellow of the American Academy of Arts and Sciences, a Fellow of the Econometric Society, a Research Associate of the National Bureau of Economic Research, President of Economic Security Planning, Inc., a company specializing in financial planning software, and the Director of the Fiscal Analysis Center. 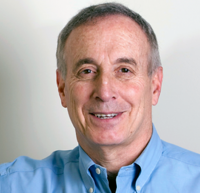 Kotlikoff's columns and blogs have appeared in The New York Times, The Wall Street Journal, The Financial Times, the Boston Globe, Bloomberg, Forbes, Vox, The Economist, Yahoo.com, Huffington Post and other major publications.